Baby’s safety in the car is a top priority. Any new parent or parent-to-be needs to know the facts about and importance of car seat safety. Parentivity has just the right information for you! Take a peek to learn more! First, take a look at The Transporter: Car Seat Fast Facts. 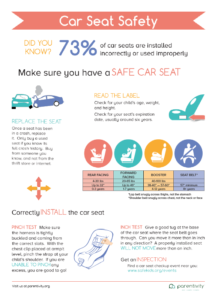 This information sheet presents the most important facts you need to know when it comes to installing a car seat. It is printable if you would like a copy. Next, watch the video titled, Choose the Right Car Seat: Important Tips For Choosing the Right Car Seat. Once you have learned about the different types of seats and what type is best for your child, play the match game to see what you have learned. Finally, check out Oh, the Places You’ll Go: Keeping Baby Safe However You Get From Here to There. People use so many different modes of transportation, making sure baby is safe whether you’re in a plane, car, taxi, or bus can be confusing. This interactive board will answer all of your car seat safety questions for all forms of transportation. 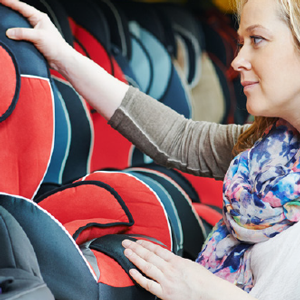 Choosing the right car seat and installing it properly can seem like a daunting task. With Parentivity, you are sure to have the right information when you need it most.